Quality family time is so hard to come by these days. In a society where us adults seem to always be rushing from one thing to the next; where we are juggling so many different responsibilities … sometimes it just gets easier to stick our kids behind the electronic babysitter called the laptop or TV (truth isn’t it??). Sometimes my head hits the pillow at night and I realize that I barely spent any good old quality time with my family. And you know what, when I don’t get my daily dose of family time, I truly find that I miss it! It is due to all of these reasons that we work so hard and focus all our extra energy on ensuring that we take our family away on regular holidays. Sometimes you have to get away form the normal … to step away from all the jobs that are always waiting for you at home … just get away from it all in order to refocus on what is truly important in life!! These holidays don’t have to be long in duration, even just a night or two away from the jobs at home can create an environment where you can build lovely valuable memories … memories of time spent together. In order to ensure that the family holiday experience runs as smoothly as possible, it truly becomes important to ensure that your holiday and hotel is indeed family friendly! There is nothing worse than arriving at a hotel that has not been designed for little kids, where you are constantly stressing about the noise your kids are making or worrying about what the heck your kids are going to eat from that fancy menu. We don’t want expensive looking decor in the hotel rooms, where little hands can bump it over. And as your kids grow it is really important to have flexible room arrangements! Recently we had the joy of flying across Australia, right from Brisbane all the way to Perth, in order to explore the beautiful laid back city of Perth. 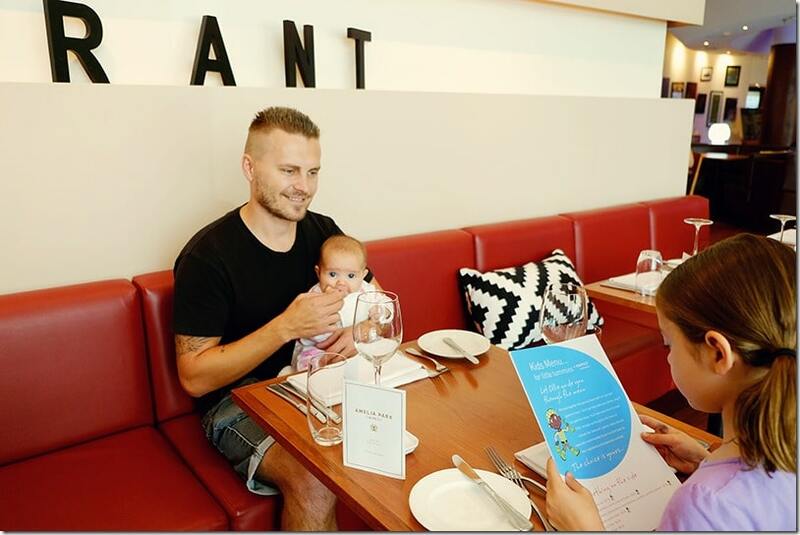 We based ourselves at Novotel Perth Langley whilst scouting out some of the kid friendly activities that the area has on offer! 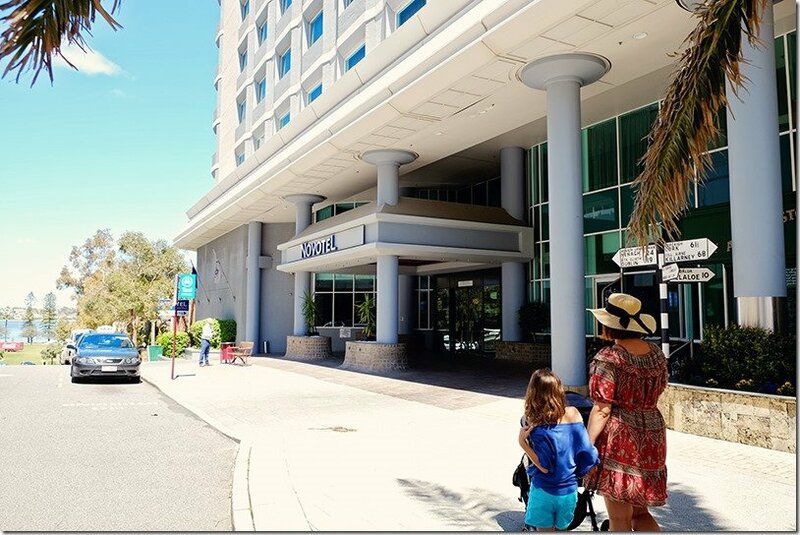 Novotel Perth Langley happens to be the perfect choice for a family friendly holiday. Whilst speaking to the manager, he proudly mentions that families are welcomed with open arms at every Novotel around the world. He realizes that by looking after the kids of today, he will increase his chances of having hotel guests for the future! The Novotel family accomodation benefits includes both free accommodation and breakfast for up to 2 children under 16 years of age. Whilst the kids will enjoy the benefit of having access to the complimentary Nickelodeon channel, it is the late 5pm checkout special on Sundays that I know the parents will enjoy! Upon arrival to Novotel Perth Langley, we were pleased at how welcoming the staff truly were. Not just towards us, but also towards our little ones. Check in was swift and before we knew it we were off to our family room! In our room itself, we were pleasantly surprised with a bottle of red wine together with some glasses filled to the brim with lollies! After a 5+ hour flight from Brisbane to get to Perth, I’m sure you will understand how quickly those lollies were devoured!! There was a kitchen, dining and a lounge area! Lily used this area to colour in, which left us free to pop baby to sleep in peace in the bedroom area. Another bonus!? Our King size bed was large enough to fit our whole family, so we could watch movies snuggled up together in bed!! There are two TV’s, one in the bedroom and one in the lounge! So when the kids are off to bed and the parents want some down time, you have the option of hopping out of the room to the other area to relax with a movie that isn’t animated! And lastly, the rooms are all elegantly designed, but yet you won’t find unnecessary decor objects. I’m sure parents with toddlers will truly appreciate and understand this positive! The reception area has a kids’ area! I’m sure all of you who has tried to juggle tired kids and booking in or out knows why this concept puts a smile on my face! Trying to listen to all the information that the receptionist is trying to pass on to you, whilst you are holding a baby and possibly have another child tugging on your arm …. it really is just not a pleasant way to start the stay. 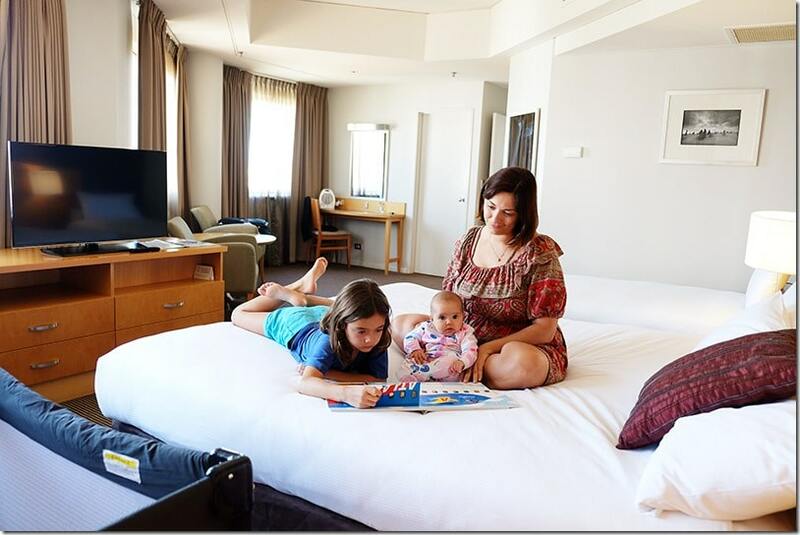 Here at Novotel Perth Langley, you can check in in peace, because your child will be busy enjoying themselves in the well designed play area. The area is designed to keep kids of various ages busy. You will find books, soft toys and a blackboard to draw on. You will find blocks and cubes for those who love to build. 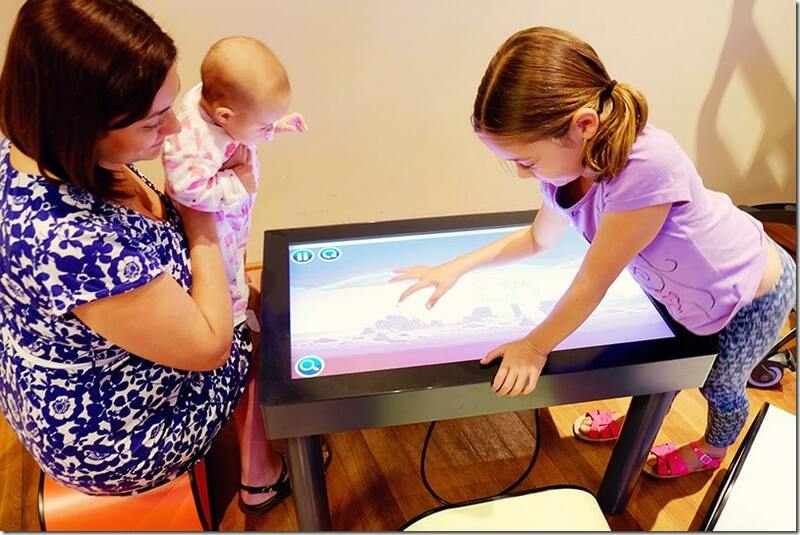 For the older kids there is an interactive table (with puzzles, car games, angry birds and many more) as well as an Xbox to amuse themselves with! Believe it or not, this hotel has a candy bar!! Yep, you can help yourself to some free candy whenever you want! Who doesn’t love jars of glorious lollies!? 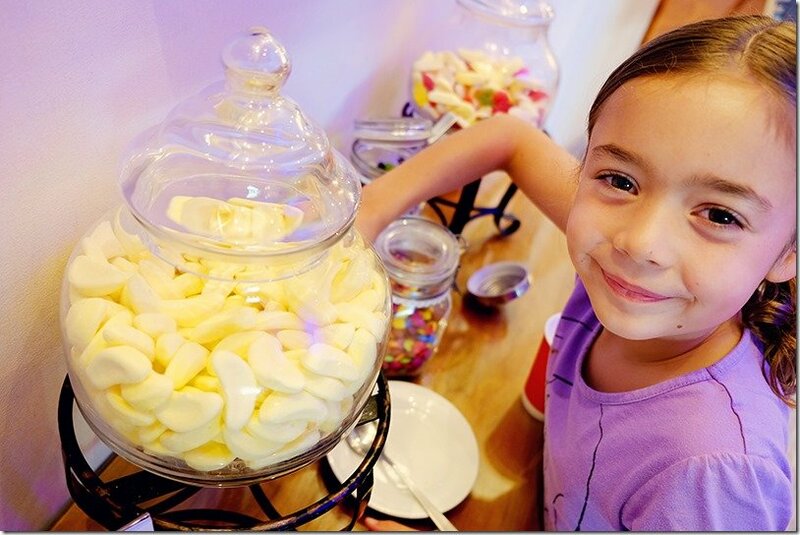 Lily had a ball filling up her cup with some sweet things. Whilst this area will be a hotspot for your child, I saw plenty of adults enjoying the candy bar as well!! The on-ground Sen5es restaurant is geared towards a more formal dining experience. But there is no need to be fearful, whilst you can enjoy your delicious meal, there is also a kids menu, where kids can design their own meal. Simply pick and choose from a variety of options on offer and alter to suit their tastes. The menu also comes with a double spread of kids activities. If that isn’t enough, the lovely staff even brought over a soft toy and reading book for little miss Avalee-Rose and brought over more kids activities as Lily whizzed her way through them. Lily enjoyed her meal and we all had a very enjoyable night in this restaurant!! Whilst you have the more formal dining option at the Sen5es Restaurant up above, you also have a more casual option at the Pub attached to the hotel. We enjoyed our lunches here whilst we spoilt ourselves to the more formal dining option at night! The environment in the pub is of course very low key and nobody minds having some noisy kids around! 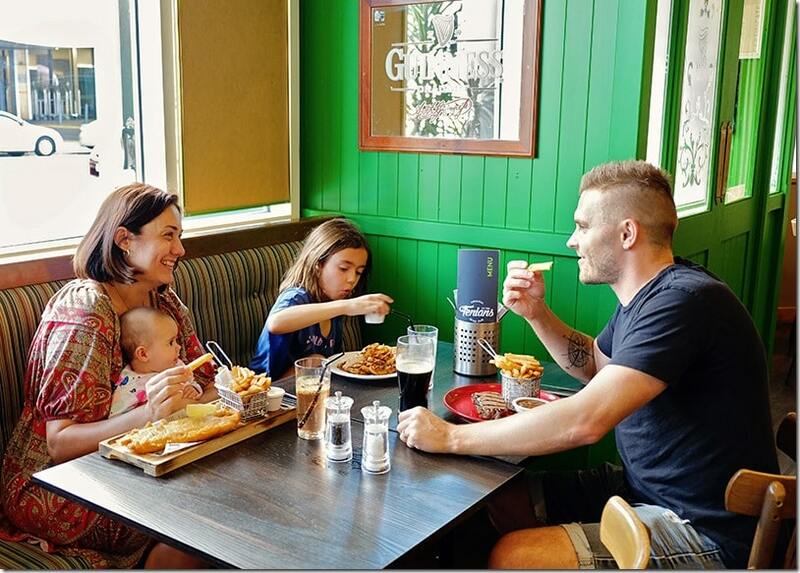 We loved the beer battered chips here and whilst they didn’t have a dedicated kids menu they were happy to make Lily any kids meal that she wanted. She went for the chicken tenders and chips option. Another popular feature of this specific hotel for our kids was the views from the top level sundeck! Spotting all the boats on the water, scouting out the funky little Perth cabs and watching the locals exersize in the park! So much to see, definitely worth a trip in the elevator to go and scout it out!! 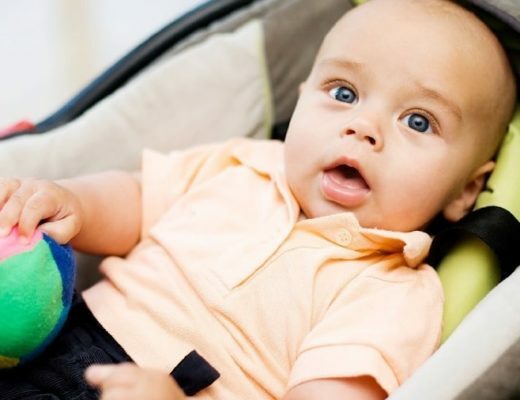 Of course, if you love exploring on your family holiday, it is also equally important to make sure that the hotel you will be staying at is located in a convenient spot. The last thing you would want to do is to hike miles to get to the tourist hot spots. Never mind paying elaborate fees for taxis. Novotel Perth Langley hotel is located right in Perth’s city centre. 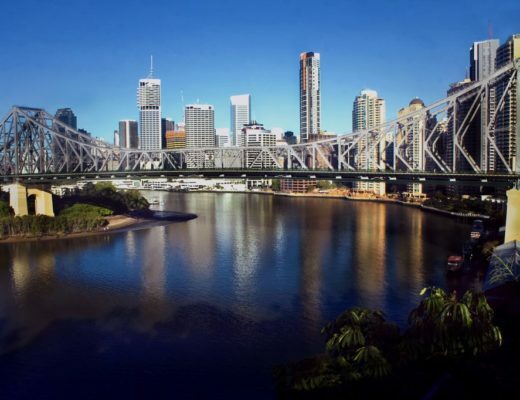 It is within easy walking distance to shopping malls (to buy snacks and chocolate as bribes), restaurants as well as some great kids’ friendly tourist attractions. On our stay at the hotel, we enjoyed scouting out the local parks, playgrounds as well as visiting the popular Bell Tower. 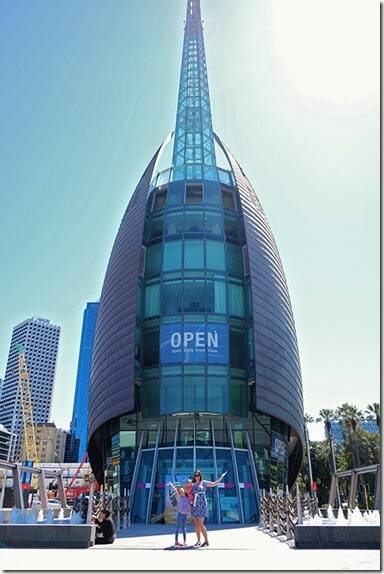 The fascinating Bell Tower in Perth is only a short walk away from the hotel! Here you can learn all about the history of bells as well as see the famous bells from St. Martins in the Fields London. 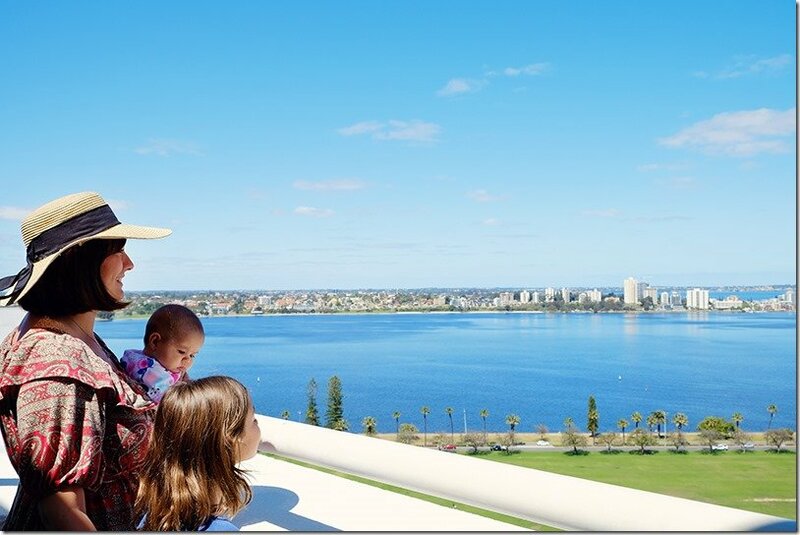 If your kids are not interested in the history, they definitely will enjoy the top level of the tower, where you can get 360 degree views over Perth city, Swan River, Kings Park and Elizabeth Quay. My daughter loved the fact that her mommy was petrified as she walked along the see-through circular pathway that leads around the tower itself. If you would like to leave a special memento behind in Perth, why not purchase a love lock, get it engraved and hang it up on the chains leading to the tower! Why not see if you can find ours?? You can find more information on this unique activity on the official Bell Tower page here. You will also find information on ticket prices as well as love lock costs on the site. Novotel Perth Langley happens to be located close by to two gorgeous parks! Situated down the street from the hotel, you find the popular Langley park. 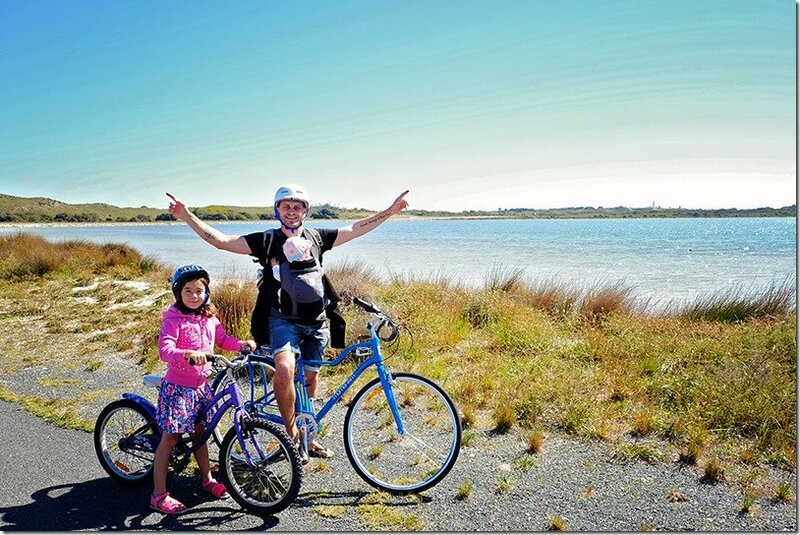 This park is perfect for a family bike ride! There are always people enjoying this park, whether for sports reasons, exersize or simply to enjoy some time out with their family! Whilst we enjoyed the views of Langley park from our hotel room windows, it was Kings Park Perth that we desperately wanted to see! 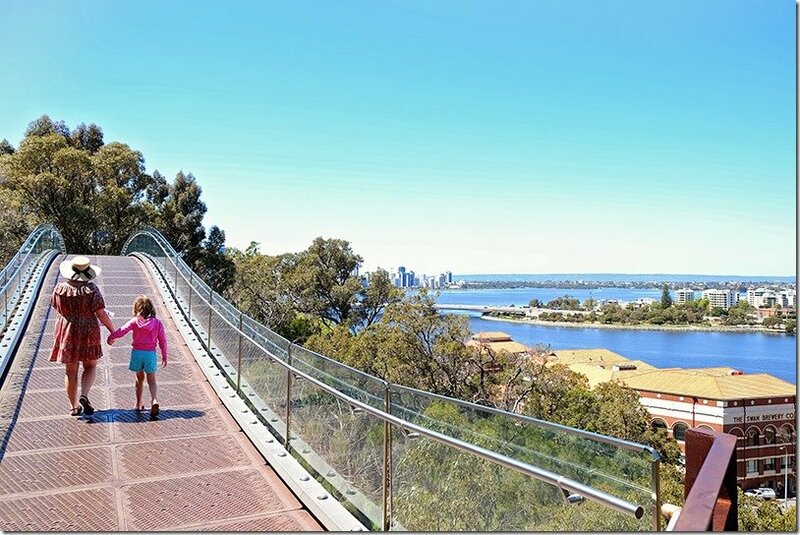 Kings Park is located within a short drive from Novotel Hotel. The botanical park has many pathways and you can easily spend an entire afternoon here. Why not bring your picnic blanket and basket and enjoy just sitting in this peaceful spot? 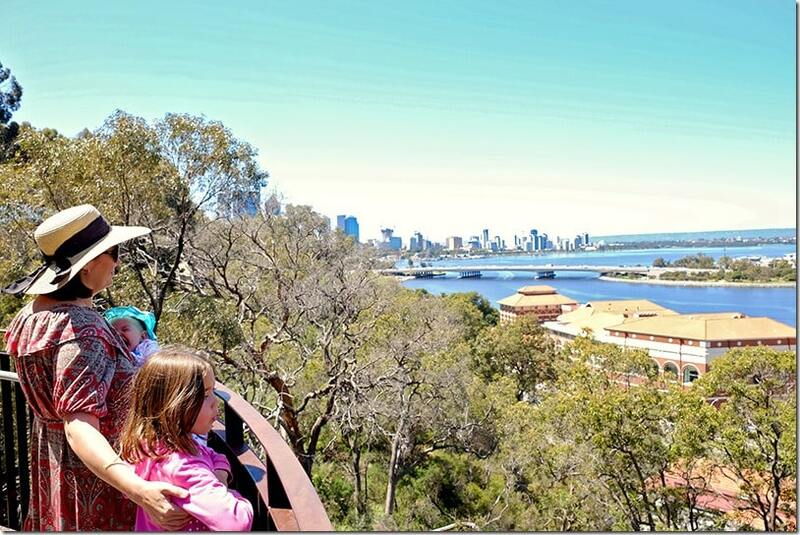 From the park, you can find a multitude of incredible views over Perth city itself. And why not see if you can find the treetop pathway as well! 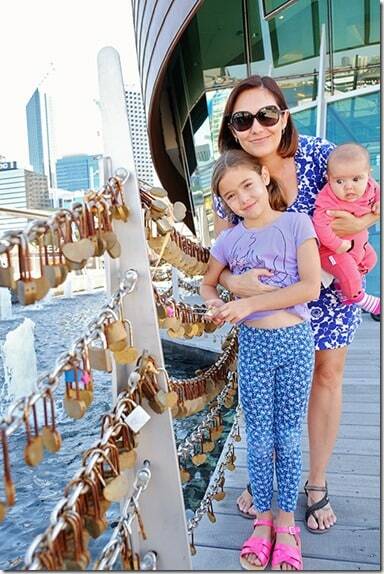 Our little Lily loved the bridge leading her up into the sky! If that is not enough, there are also two very popular kids play park areas within a close distance to Kings Park. 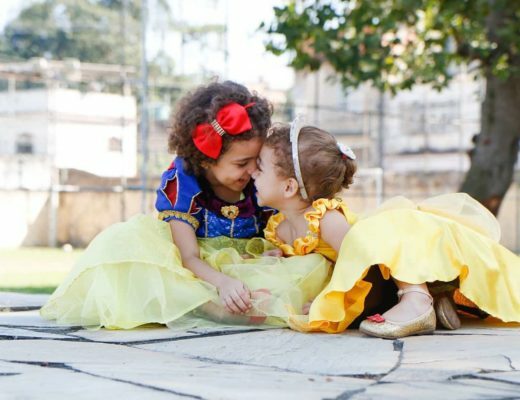 In actual fact you will probably pass by them on the way back to the hotel, so make sure you have some time left in your day to stop and let the kids loose! 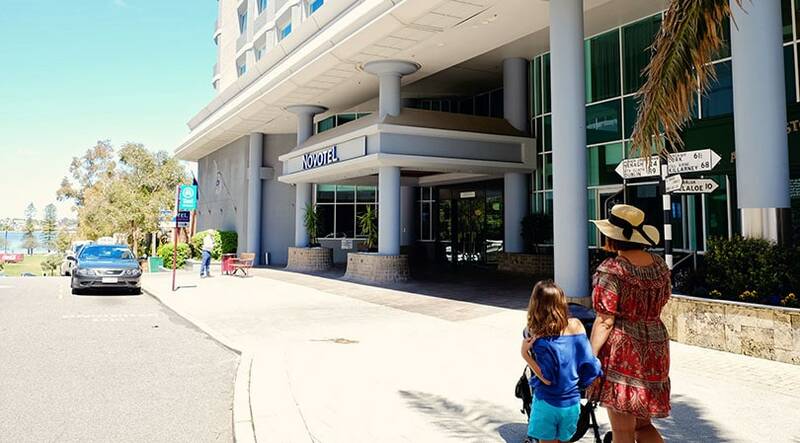 Which Novotel Hotel will you be booking your stay at? * We stayed at this resort courtesy of Amex, Accor and Novotel Perth Langley. All thoughts, opinions and experiences are our own.